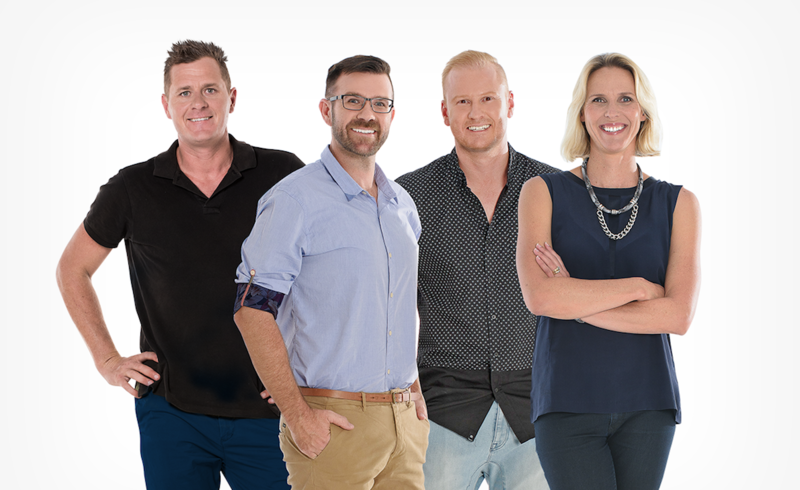 Nova 106.9 has announced a partnership with Nine Queensland and the Children’s Hospital Foundation Queensland to help raise funds for children in need. Nova has launched a silent auction to raise funds called ‘Nova’s Bids To Help Sick Kids’ for the 2018 Nine Telethon. Bids can be made now on the silent auction website, with all proceeds being given to the Children’s Hospital Foundation by Nova Brisbane Breakfast team Ash, Kip and Luttsy at the 2018 Nine Telethon. Some of the silent auction items include a Mazda CX3 Maxx Sport, swim lessons with Susie O’Neill, a XXXX Brewery tour with Luttsy, a private cooking class with Kip, a fishing trip for you and three mates with Ash, a V8 race experience, a Samsung Galaxy Note 9 phone, hot air ballooning and breakfast for two, a Delonghi Nespresso Citix machine and a table at the 2018 Coffee Club Ball. “It’s a humbling and inspiring opportunity to be involved in this community event which benefits Queensland families facing some pretty tough challenges, our Children’s Hospital, and the incredible people who work there,” said Nova Brisbane market lead Jay Walkerden. “It wouldn’t be Nova if we didn’t put our spin on things, so we’re creating some awesome opportunities that money CAN buy – like fishing with Ash, swimming with Susie or cooking with Kip – to encourage people to dig even deeper this year. “Nova’s Bids to Help Sick Kids is a fantastic initiative to raise funds for such an important cause,” added Nine Queensland managing director Kylie Blucher. “We are absolutely thrilled to partner with Nova 106.9 for the very first Nova’s Bids to Help Sick Kids,” said Children’s Hospital Foundation Queensland CEO Rosie Simpson. “It’s the support of partners like Nova that allows us to keep working wonders for Queensland’s sickest kids and their families. Together we inspire each other to achieve better outcomes for sick kids across the state. The Nine Telethon takes place on Saturday, November 17 with bids closing 4pm AEST on Friday, November 16.